For patients at risk of falling out of bed, it's crucial that a low profiling bed is used as to minimise the risk of injury from falls. 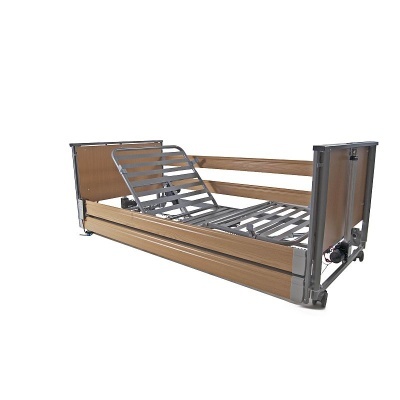 The Harvest Woburn Community Low Profiling Bed is designed with an ultra-low profile of 220mm, reducing the risk of patient injury and providing peace of mind to carers and users alike. The low design of the Woburn Community Bed makes it easier for patients to get in to or out of the bed, making the bed an ideal choice for patients with reduced mobility. Reducing the distance to the floor, the Low Bed also mitigates the risk of falls from beds (although this does not negate the require for crash-mats). 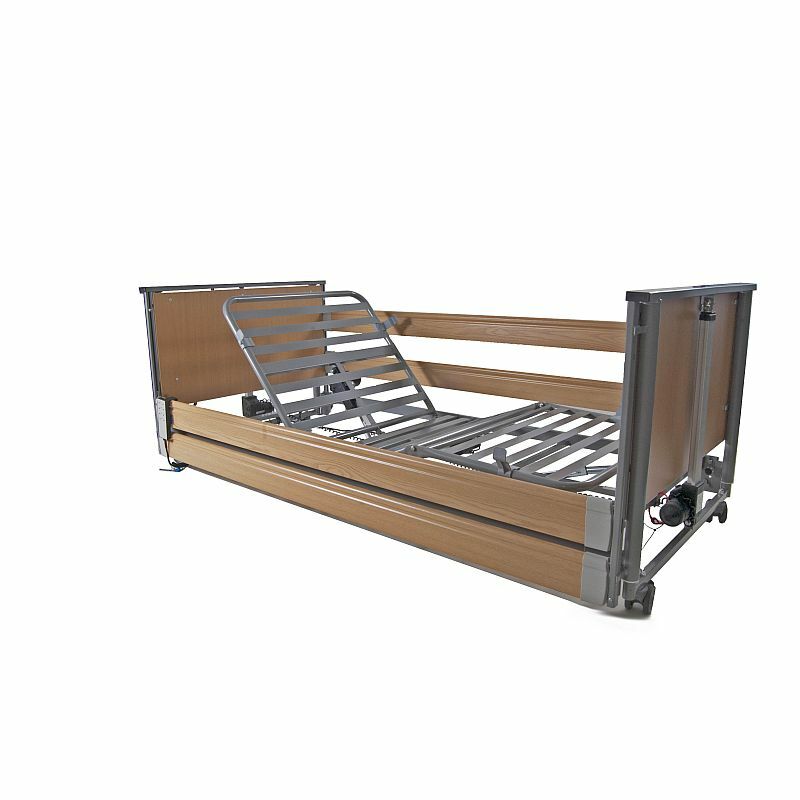 This bed has been specially designed to meet the demands of the community market, as it is extra-durable and able to withstand high levels of wear and tear. Made to be able to stand up to multiple dismantlings and assemblies, this profiling bed will stay functional through many moves, making it perfect for community environments. Additionally, this bed is suited to constant regular cleaning, and is more fail-safe than most other beds on the market. This bed has been purpose built to be as versatile as possible, with a range of possible different adaptations and positionings. The backrest can tilt from 0 to 70 degrees, allowing patients to lay down and sit up comfortably and easily. The leg rest can be adjusted from 0 to 30 degrees, and the bed has a built in Trendelenburg function, making it highly adaptable. Finally, the base of the bed can be adjusted between 220 and 640mm, allowing it to adapt to different needs and environments. Before you can begin to provide quality care to your patients with a profiling bed, proper installation is a must. That's why Harvest offers a handy installation service, where a team of experienced engineers will install your bed quickly and efficiently. 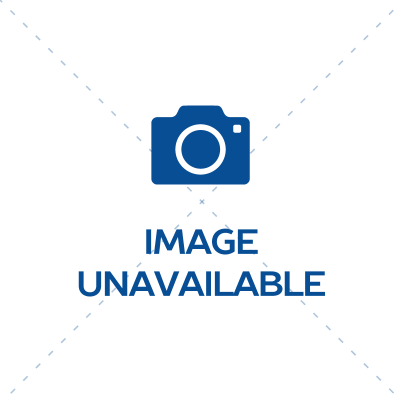 These experts will also provide you with crucial advice on how to safely operate your bed so that you can supply the best possible care to your patients. You can select the installation service from the drop-down menu at the top of the page.